This is my daughter's favorite soup! I don't think her grandmother ever made it, but we did! Lovely ending, Bridget. Enjoyed your food poem, Bridget. 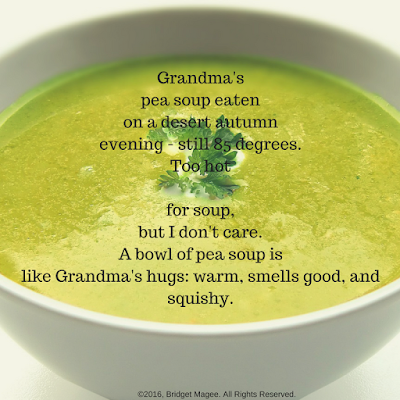 I love to make soup. I wonder if you have a poem for my Autumnventure Gallery that I am designing now. Fabulous! Yes, that's how soup is....one part taste and 99 parts feels. Somehow I missed this previously-- so THANK YOU for the shout-out for YOU JUST WAIT and for sharing your own responses. Lovely! 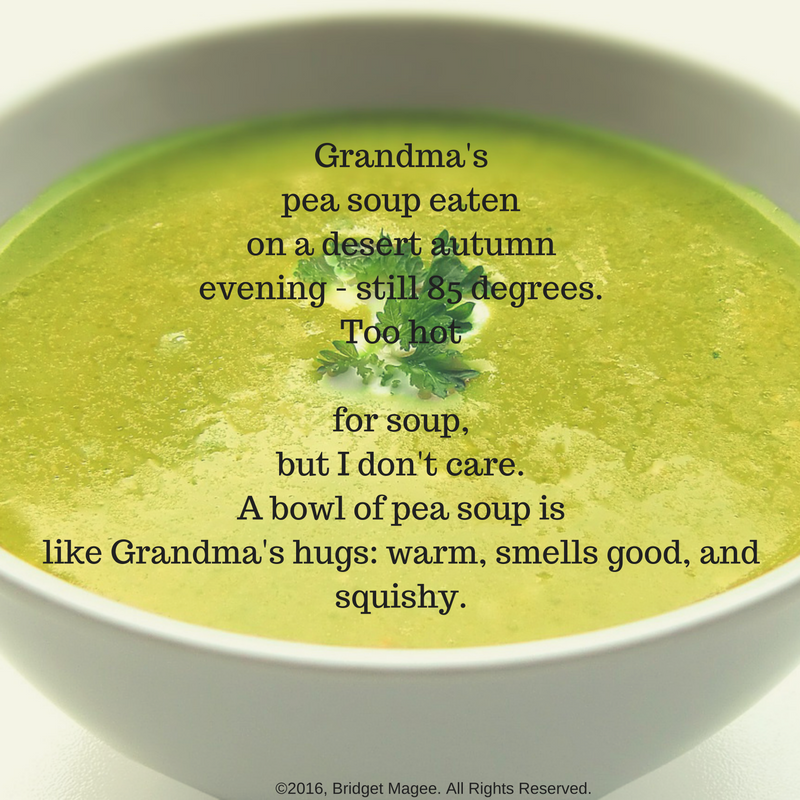 I share your fondness for pea soup-- and poetry!